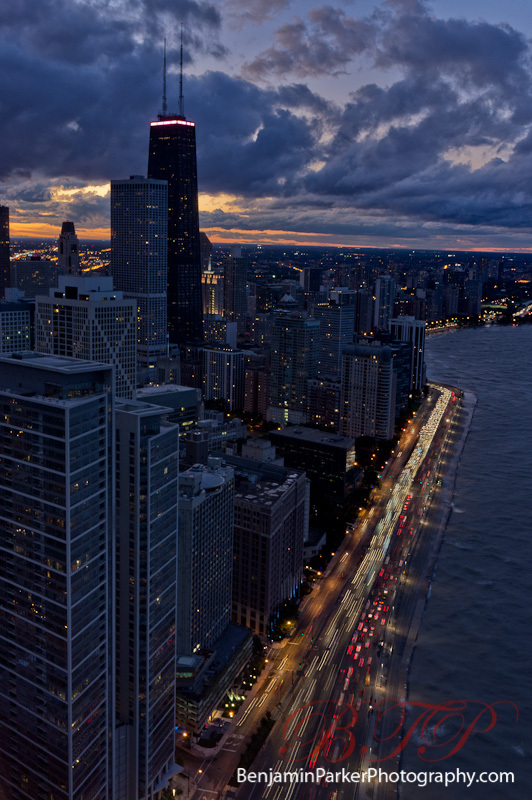 Lake Shore Drive in Chicago at dusk as seen from Cite Chicago (Lake Point Tower 70th floor). This was a handheld shot using the new Sony NEX-5N. This is a great travel camera with impressive low light performance. I highly recommend it (or its upcoming bigger bother, the NEX 7).